Really strong strap, looks good and feels good too. Great motor for high speed racing! The 2750kv delivers high top speeds while the 2306 stator size maintains enough torque to get you through the tight sections of the course. 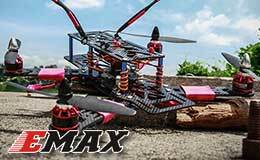 These EMAX red bottoms have been out for a while but they are still one of the fastest motors against the newer models today. I find myself winning easily against my competitors using the latest and greatest motors. Awesome!! 300 is great, ordered another with motors and stuff you guys are great,keep it up. The gold standard, or RED, in the 2205 class of motors. This has been proven to be one of the best motors to use in any high power quadcopter application. It tears up the sky in freestyle and it beats the competition in races. The rest of your system needs to be up to the challenge though, use LittleBee 30A ESCs and a high C rated battery and you can extract this motors full potential. I’ve crashed my quad many times and the motor is tough as nails. This is a screamer of a motor. It has high quality magnets, smooth bearings, and a very high build quality. When people see the “red bottom” they know you mean business. The benchmarks have proven these to be one of the best performing high kv motors in its class—period. It’s a real power hog though, make sure your ESC’s are strong enough like the LittleBee 30A and your battery has a high C rating. You won’t be disappointed with this motor. Brilliant motor performance at a fantastic price. Ideal for building your own or upgrade. Other Upgrades/Parts Recommended by Reviewer: good esc ! EMAX is a leading design and manufacturing company for high quality brushless motors and components in the RC model industry. EMAX focuses on quality and durability, continuously churning out new and innovative designs for their latest work. 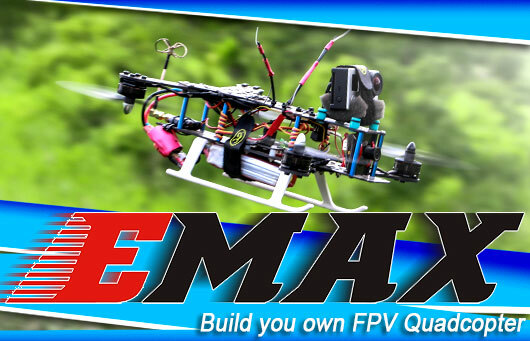 By providing superior designs and competitive costs, EMAX raises the standard in affordable, yet high-quality RC parts. EMAX maintains an excellent relationship with their customers through constant communication, efficiency, and quality products. 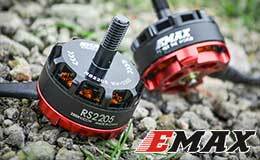 If you're looking for the best brushless motors for your RC Model, EMAX has to be at the top of your list.